All the accessories for the wine, champagne and cigar lovers, champagne swords, corkscrews laguiole, corkscrews, luxury Laguiole cutlery and Laguiole knives collection, professionnal lever, the marks Vacuvin, Luna Wine bottle holder, Arsan, Dropstop wine, Dropstop Gold champagne, Screwpull, Caveduke wine cellars, the cigars cabinets and accessories about cigars. 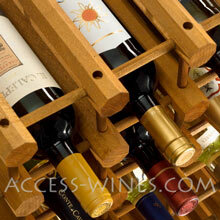 CANTY is a modular kit system for fitting progressive wine cellars. 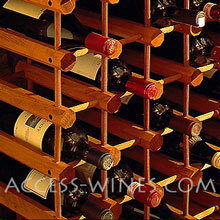 The wine racks CANTY are suitable for storage, shelving bottles of wine or champagne. keep sparkling wines and champagnes up to 2 weeks after opening.